A companion volume to Beautiful Broken Things, this novel picks up the story two years later but can be read as a stand-alone without previous knowledge of the earlier title. Beautiful, damaged Suzanne has moved back to Brighton to start a new life. Her best friends Caddy and Rosie are there to help her adjust to life as a working adult living in a bedsit. But when Suzanne runs out of clean clothes and it’s a rainy walk to the launderette she meets an unlikely saviour in Dilys, a retired musician who lives in the ground floor flat below and lends Suzanne her washing machine in return for tea and company. The two bond over a shared love of music and Suzanne finds it refreshing that Dilys accepts her for who she is without prejudice and admires the old lady’s will to live on her own terms. Meanwhile her manipulative family are trying to interfere in her life and Suzanne starts to go into one of her downward spirals, as she rejects everyone around her, fighting with Caddy and telling Matt she no longer wants to see him. Then Dilys has a stroke and is moved to a care-home. Suzanne visits Dilys there and one of the nurses suggests Suzanne has all the right attributes to become a nurse or a care-worker. Slowly Suzanne picks up the pieces and makes some life-changing decisions after Dilys dies. At its heart this is book about different types of friendships; their ups and downs and the way they change and grow or even falter at times. It is a perceptive account of a young woman beginning to take control of her life. The tone and voice are pitch perfect and the machinations of young adult minds beautifully realised. The friendship between Suzanne and Dilys is particularly touching and rewarding. 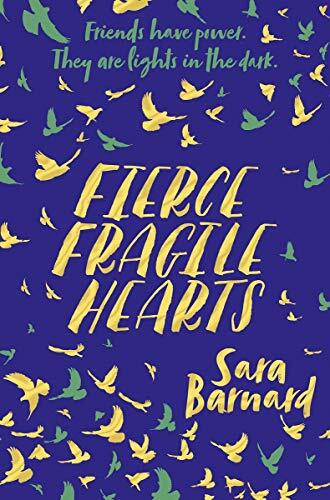 Fans of Sara Barnard will fall upon this one.